Ok, it’s not really the time of the year to think about Christmas or Thanksgiving yet, but I thought it would be nice to share this recipe anyway. 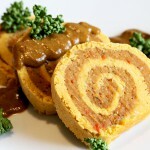 I made this roulade some time ago – actually I adapted it from a recipe in the Vegetarian Times. The original called for 4 cups of bread crumbs, which I substituted partly by cornmeal or polenta, partly by gluten-free bread crumbs. I’m sure it will work with cornmeal only, if you don’t have gluten-free breadcrumbs available. I also did not add sage to my roulade, as called for in the original recipe, as I don’t like sage – but you can add sage or other herbs and spices you like. 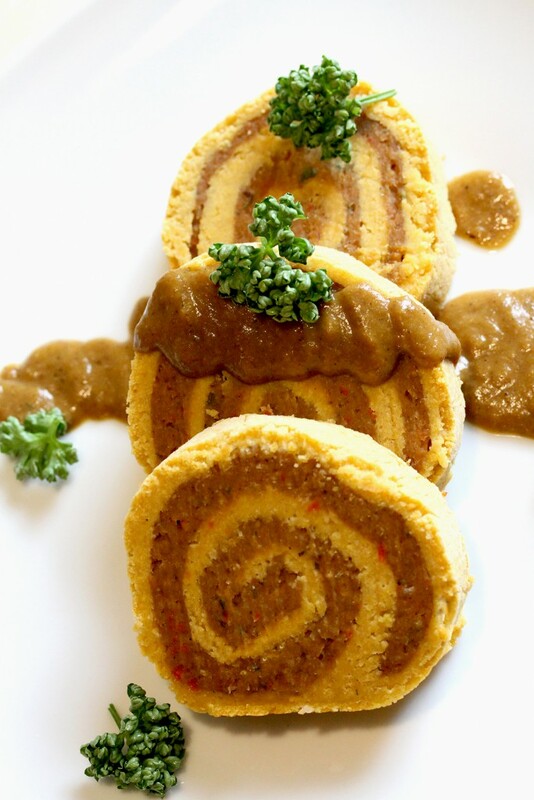 In any case, the combination of the lentil dough with the chestnut filling is really tasty and this lentil roulade makes a perfect vegan, gluten-free dinner for any party or celebration. 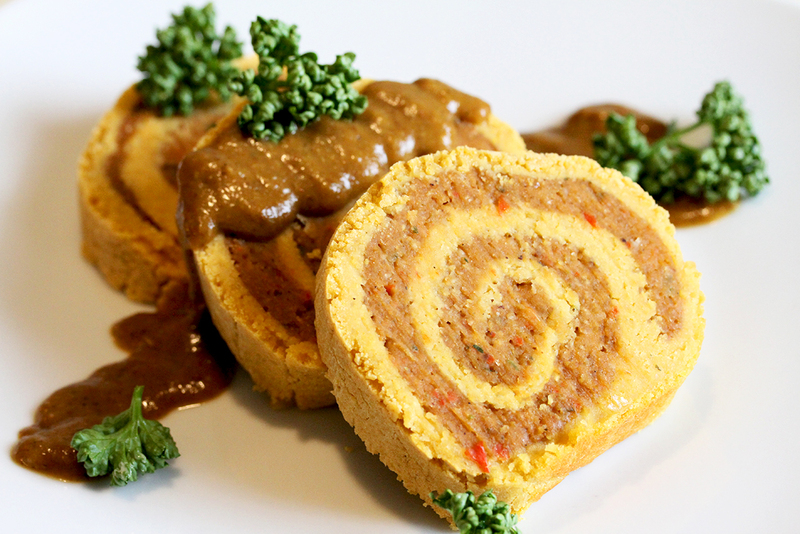 The best is: you can assemble the lentil roulade well in advance. I assembled mine a day before actually baking it and served it with homemade vegan gravy, potatoes and salad. The roulade may be a bit dry, so be sure to serve it with some gravy or sauce. Overall a really festive, filling dish. Leftovers can be eaten cold and slices can be turned into sandwiches – be sure to try this kind of sneaky sandwich :). 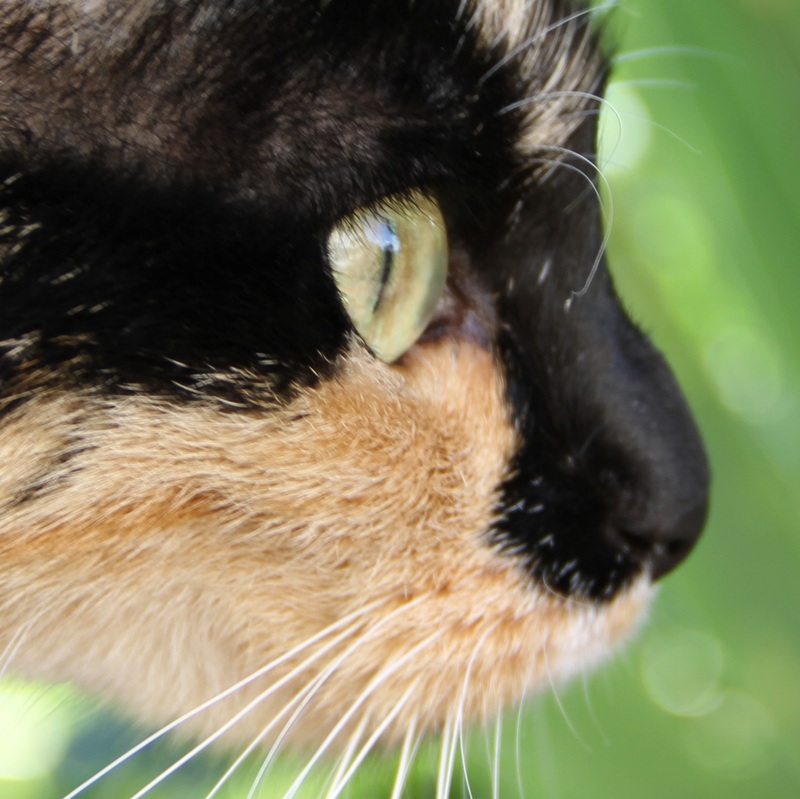 In a medium saucepan, combine lentils and 2 1/2 cups of water. Bring to a boil, reduce heat, cover, and simmer for about 15-20 minutes, until lentils are tender and water is almost absorbed. Stuffing: In medium skillet, heat oil over medium heat. Add onions and bell pepper and cook, stirring often, until vegetables are soft, about 7 minutes. Remove from heat. In food processor, combine onion-pepper mixture, chestnuts, bread crumbs and sage; pulse on and off until well-blended. Transfer to large bowl and season with salt and pepper. Transfer cold lentils to food processor and add garlic, lemon juice, cornmeal, salt and pepper and process until mixture becomes smooth and pliable. Spread out a large piece parchment paper or wax paper on flat surface. Transfer lentil mixture to paper and pat into an 11- by 14-inch rectangle. Spread chestnut mixture evenly over lentil layer. Starting with a short end, carefully roll up lentil mixture, using the paper to guide you. Press roll firmly together with your hands as needed. Lift roulade onto a lightly greased baking sheet, rub softened margarine over it. Bake for about 15-20 minutes, until heated through and top is just beginning to brown. Transfer to serving platter.